Key Difference: Phonology deals with study of sound by determining the rules of a language. It includes the study of distribution and pronunciation of sounds in speech. On the other hand, Semantics is the study of the meaning in language. It analyses the meanings derived from word, phrases and sentences. Both are important branches of linguistics. Phonology is a branch of linguistics which deals with study of sound by determining the rules of a language. It analyses the speech patterns in a language. Phonology is more abstract than phonetics, as it deals with the largely unconscious rules related to sound patterns. These patterns are found in the mind or brain of a person who utters in a particular language. This field is considered to be one of the important parts of theoretical linguistics. Phonology can be viewed from two extreme viewpoints – first viewpoint is towards anatomy and physiology; related to the organs of speech and how one learns how to use them. From the second extreme perspective it falls into the group of socio-linguistics where it considers features of speechrelated to accent and intonation. Semantics is a term which is derived from the Greek word seme meaning sigh. Semantics is another important field related to theoretical linguistics. It is all about studying the meaning of linguistic expressions. The language can be any type of language – it may refer to a natural language like English or even refer to an artificial language like programming language. 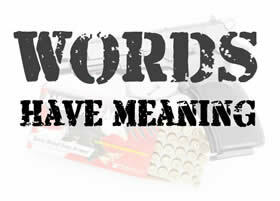 Linguistic semantics studies the meanings which are derived from words, phrases and sentences used in a language. The term semantics has been introduced by French linguist Michel Bréal (1832-1915), who is also known as a founder of modern semantics. Phonology and Semantics are branches of linguistics. 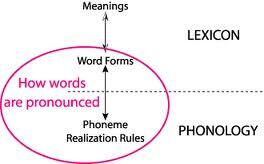 Phonology focuses on the organization of sounds, whereas Semantics focuses on studying the meanings of words. Phonology is another branch of linguistics which focuses on the organization of sounds by studying speech patterns. The key words for describing Phonology are distribution and patterning related to speech. Semantics is a term which is derived from the Greek word seme meaning sigh. Semantics is another important field related to theoretical linguistics. It is all about studying the meaning of linguistic expressions.